Many rural communities in Scotland face a number of challenges: the decline of the once-dominant fishing, farming and forestry industries; changing patterns of land ownership; and the departure of young people as they seek homes and jobs elsewhere. 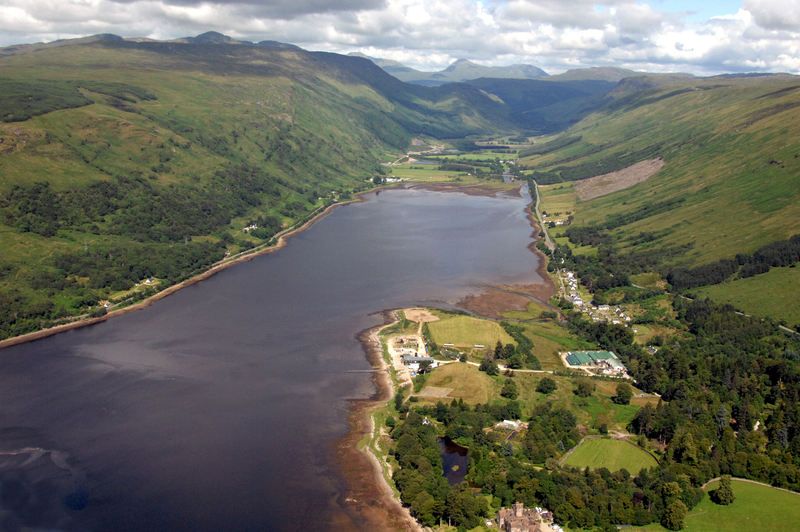 Here We Are was established in 1998 to promote the development of the community of Cairndow, a village of 150 people located at the head of Loch Fyne, Argyll. Constantly exploring new ideas, Here We Are runs a number of projects for the benefit of local people and visitors alike. One of these initiatives is the Our Houses: Their Stories project, a biography of all the houses in the village and their inhabitants since 1841. It has also developed two renewable energy projects. The first, Our Power Community Interest Company, is a woodchip business opened in 2007 that provides sustainable biomass fuel to local homes and businesses while also generating income to be invested into the community. The second, the Merk Hydro Scheme, was supported by SIS investment in 2010, and is Scotland’s largest community-­led hydro scheme. In 1998 it was suggested that Alice, now 82, should join a group discussing an innovative idea for a community organisation in Cairndow. She said in response that she didn’t know anything. Here We Are could not have progressed as it has without Alice. She was integral to its Our Houses: Their Stories Project. She began a list of who lived in each house in the village. Then she researched, via the Census and the Register of Voters, who had lived in them and what they did. The project sparked a great deal of interest from a lot of people fascinated by local history and inhabitants. It is an example to other small communities. It is also an example of how accumulated inherited information, acquired by sharp observation and good memory, can be harnessed to high-tech modern media to produce a unique and valuable resource. Merk Hydro predicted annual power generation in megawatt hours.